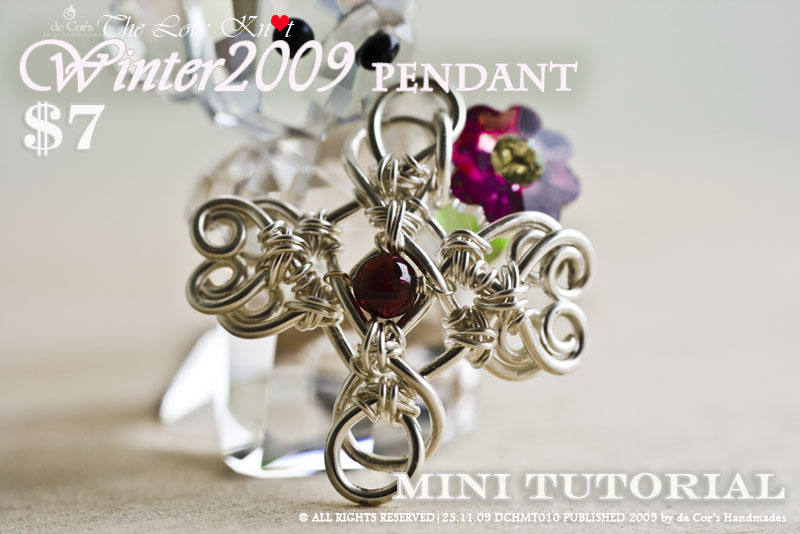 Download and learn how to construct this NOW: DHCMT010 Winter 2009 Pendant Tutorial. This is an Easy-To-Make Project - so that you could create something intime for the Christmas. 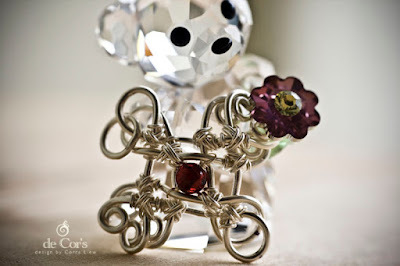 The tutorial composed with 57 very clear steps to create this pendant. PLEASE BE INFORMED THAT THE "ALL Core TUTORIALS" package does not include this tutorial. There are total of 57 steps in making this pendant, to deliver the clearest instruction, the beautifully taken 79 pictures will provide you the means from end to end to make this pendant. In this document, it also listed out the tools and materials being used. This lesson shows how to develop a beautiful pendant for Winter of 2009. The PDF format document will be available for download immediately once the payment is processed. If you do not see the download link, it might because of the transaction is still being processed. Please check back later and it should be accessible at your Profile page. - Many thanks to Santa Claus. - Many thanks to Miss Perri Jackson and Miss Bobbi Maw for their constant supports. PLEASE DO NOT LEND TO OTHERS, SHARE AMONG FORUM, SHARE AMONG FRIENDS, COPY AND MASS PRODUCE THE PENDANT OUT OF IT. Please do not copy text, pictures, or any resources from within this tutorial, this tutorial is meant for PERSONAL USE ONLY. I appreciate any help in protecting me and my creations/designs/resources - please keep in mind that PLAGIARISM KILL CREATIVITY AND SHARING. And if you would be so kind, please give a credit to me if my tutorial inspired you or helped you in your jewelry making journey, it would be greatly appreciated!